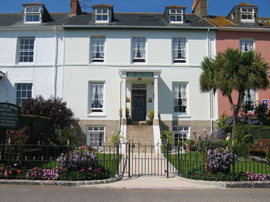 Chy-an-Mor is a fabulous Regent house offering luxury bed and breakfast with exceptional sea-views overlooking Mount's Bay and Newlyn. The house is just a five minute stroll away from the famous Chapel Street, with its selection of independent shops, art galleries and excellent restaurants. Richard and Louise hope to provide a relaxed and comfortable environment with their signature friendly style. All rooms have flat screen digital TV's, quality toiletries, fair trade tea and coffee and many more little touches that make the Chy-an-Mor unique. Breakfast is a special event at Chy-an-Mor with plenty of choice on offer. 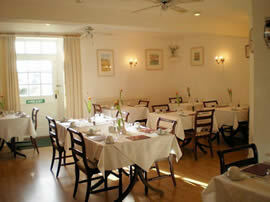 Served in the bright and spacious dining room which leads out into the garden. Their own marmalade is made on the premisis, as well as fruit compotes and muffins. The traditional cooked breakfast is a firm favourite but the ever changing menu offers lighter, healthier and often indulgent alternatives, all made using the best local, fair trade and home-cooked produce.